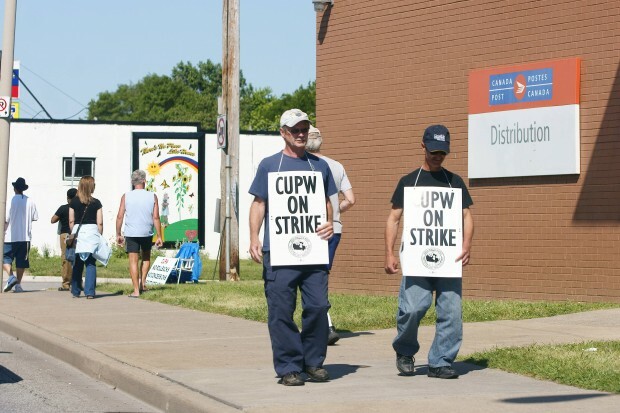 Following 12 days of increasingly costly and damaging rotating strikes being carried out by the Canadian Union of Postal Workers (CUPW), Canada Post has suspended operations across the country. The accelerating decline in volumes and revenue combined with the inability to deliver mail on a timely and safe basis has left the company with no choice but to make this decision. If we allow the uncertainty created by the rotating strikes to continue, our ability to remain financially self-sufficient and not become a burden on Canadian taxpayers will be in jeopardy. We believe that a lockout is the best way to bring a timely resolution to this impasse and force the union to seriously consider proposals that address the declining mail volumes and the $3.2-billion pension deficit. Canada Post continues to believe that the best result from this round of bargaining is a negotiated settlement. The company had hoped to reach an agreement without a disruption in Canada’s postal service which is why the company made every effort to protect the pay, pension and job security of existing employees.